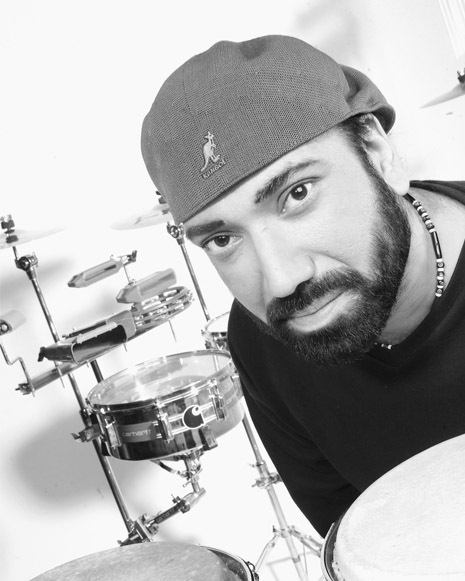 In 15 years, Pav Percussion has managed to transform live music in clubs, from being scouted by Radio 1, Pav travelled the world expressing his vibrant percussion beats and working with the world’s most established Dj’s, such as Roger Sanchez, Armin Van Buren and Fatboy Slim, and playing MTV Ibiza Live, and BBC Radio ones’ The Winter Music Conference Miami. Performing for artists such as P Diddy, and Madonna. Picked up then by Hed Kandi, Pav continued his journey through the dance world, from Thailand to Dubai. Since then Pav has revolutionised himself into the contemporary dance world, and worked with the likes of Take That, Alex Gaudino, Eddie Thoneick, The cut up Boys, and Kissy Sellout. Pav truly brings the room alive.